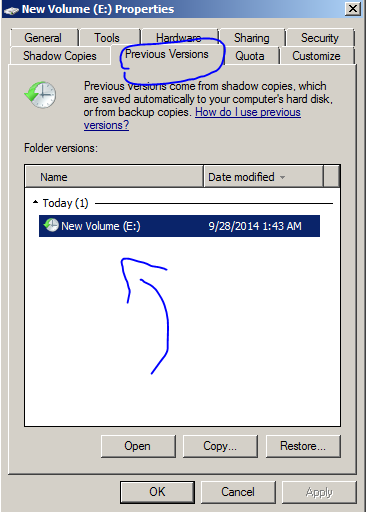 I would like to show you a great windows feature called Previous Version – Shadow copies. Note: this tutorial will be applied to a specific server. How many times have you heard “oh, where’s my file? Oh, I deleted an important file?” – I assume you’ve all heard it many times. Here you will learn how to enable the “Previous Version” feature and provide your users a quick restore file method, the Previous Version allows us to restore files, created by using “snapshot points” which are created by any changes we have made in our computer. The size of the file is determined by disk space usage. 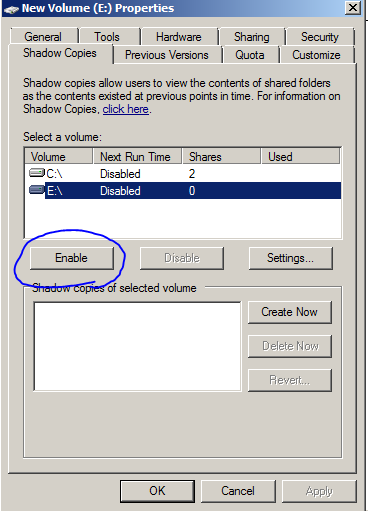 This feature is not enabled by default on Windows Machines. The previous Version is not a full backup, do not trust only that feature. It does not change any other backup software. 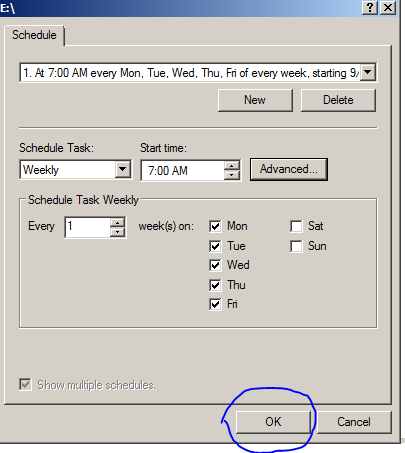 choose days you want and then click OK.